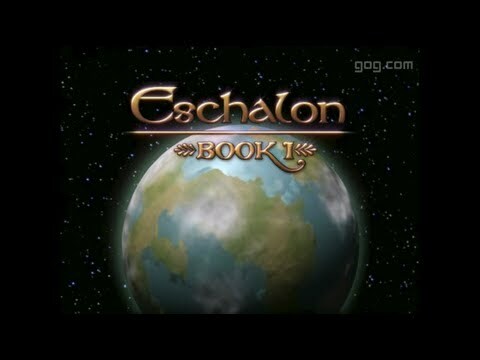 Waking up in a strange place with no memory of who you are, you must undertake the difficult and arduous journey of finding out who you really are. 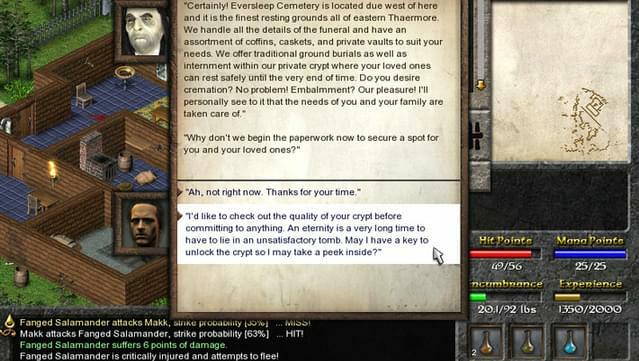 The only clue you have is a hastily written note telling you to meet a stranger in the nearest town. 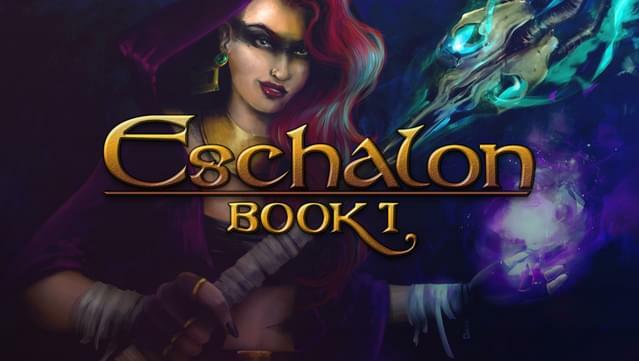 Thus begins your first step into the wondrous and dangerous world of Eschalon: Book I.
Eschalon: Book I is a role-playing game game designed from the ground up to offer an experience not unlike the classics of the RPG genre. 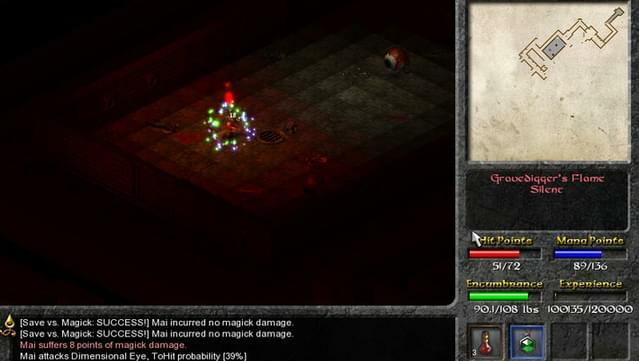 You'll venture through massive outdoor environments and delve deep into sprawling dungeons as you seek to uncover the mystery of who, or what, you really are. 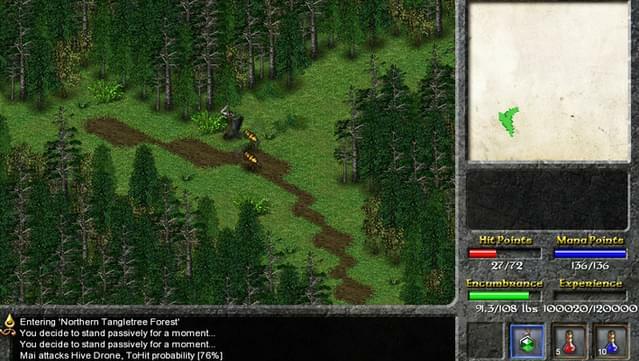 This title was developed with the classic role-playing fans in mind. 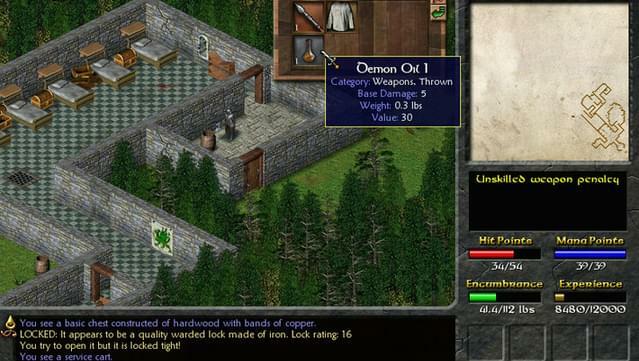 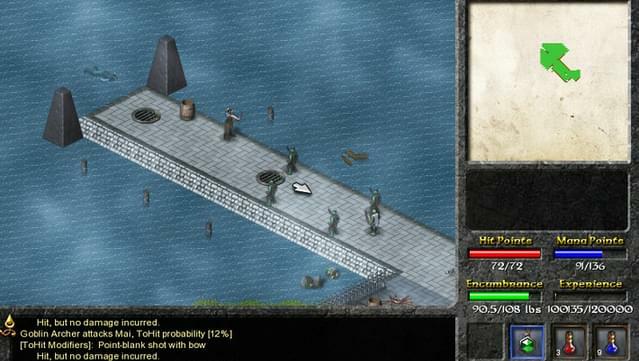 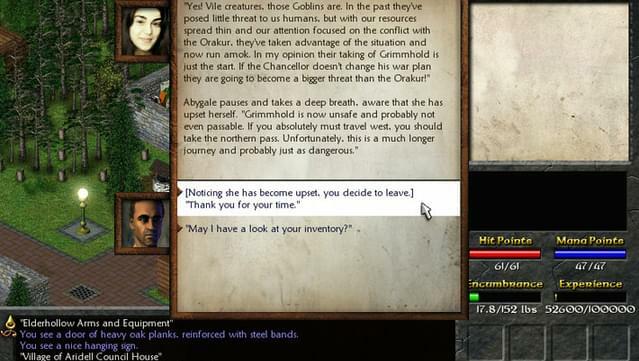 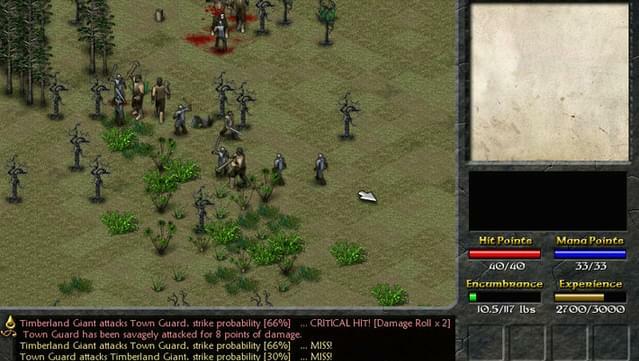 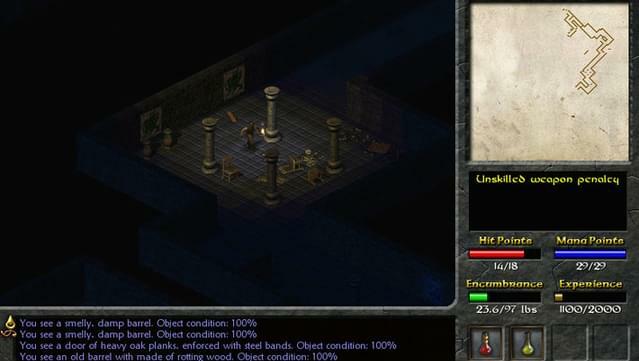 It sports an old-school feel, isometric graphics, large open-ended world, and classic cRPG gameplay mechanics, just to fit perfectly with your idea of how a computer role-playing game should be like. 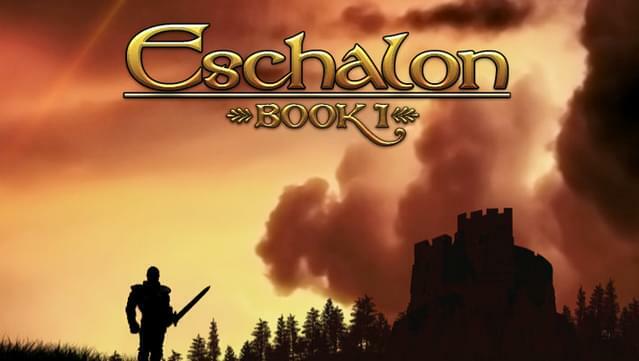 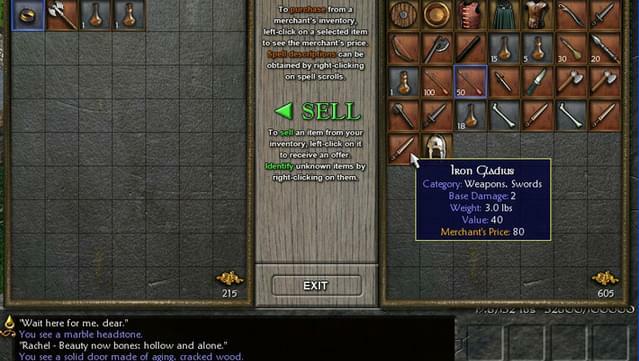 Eschalon: Book I is a turn-based, single-player RPG that's carefully designed to feel like the great old school RPGs of the past such as Ultima or Might & Magic. 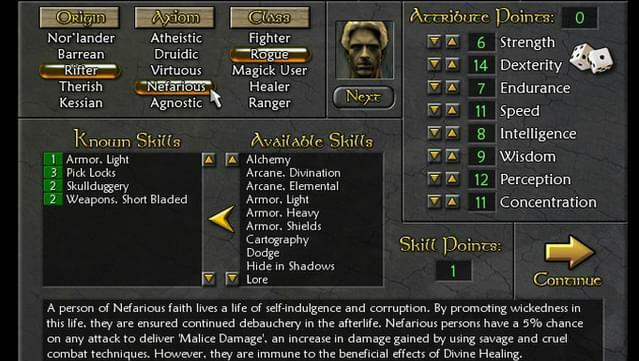 Choose from 24 unique skills to make the character you want and 8 base attributes that affect your character’s every action throughout the game. 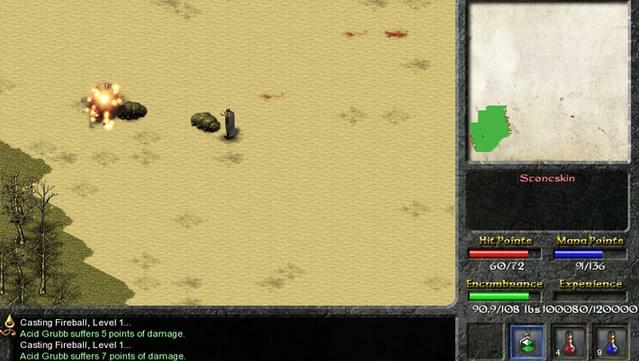 A combination of randomly generated treasure and carefully hidden goodies means that no two games will play the exact same way.